Stoke Artist scores a City Blinder! Time for something a little different. I am writing this on the train back to Stoke-on-Trent after attending the RBA’s preview of their 2014 Annual exhibition at the Mall Galleries in the heart of London. What treat! 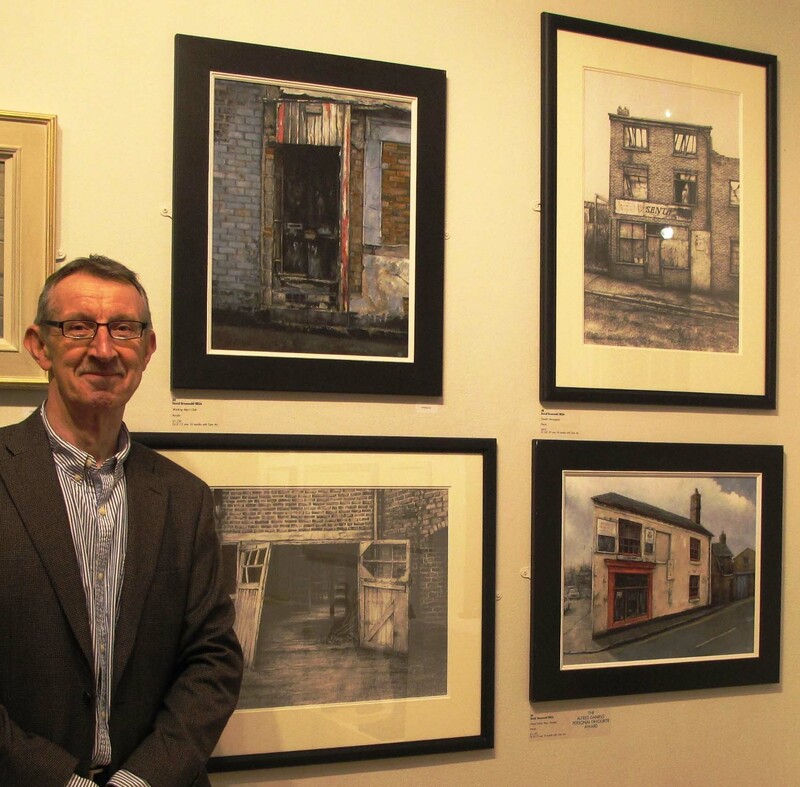 Our own Stoke artist David Brammeld’s four selected pieces were on display, but the highlight of the evening was to witness him pick up the Alfred Daniels’ Personal Favourite Award for ‘Empty Corner Shop – Harveys’. Stoke has arrived in the City! I was close to bursting out with a verse of Delilah – Congratulations David! This is terrific recognition and acknowledgement of a person who is dedicated not only to his art but to capturing evocative fragments of Stoke’s fast disappearing architecture. For those of us who attend Dave’s drawing classes in Newcastle-under-Lyme, you should be proud of him! He is far too modest to crow about his work, but when an artist in our midst gets recognition at this level, this exciting news has to be shared! 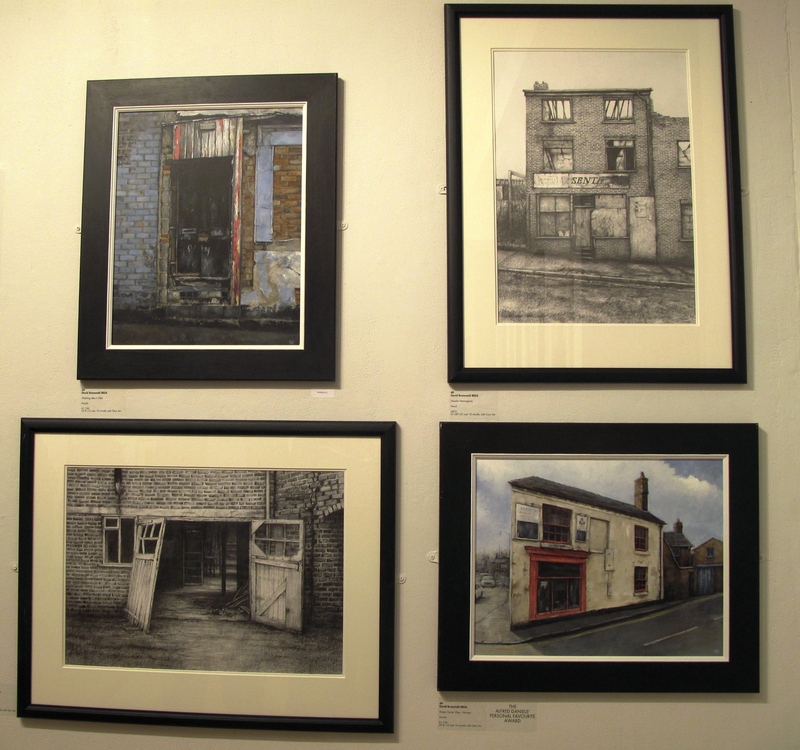 David Brammeld’s four selected artworks, Clockwise from top left: Working Mens’ Club, Derelict Newsagent, Empty Corner Shop – Harveys (Award winner), Working Mens Club. 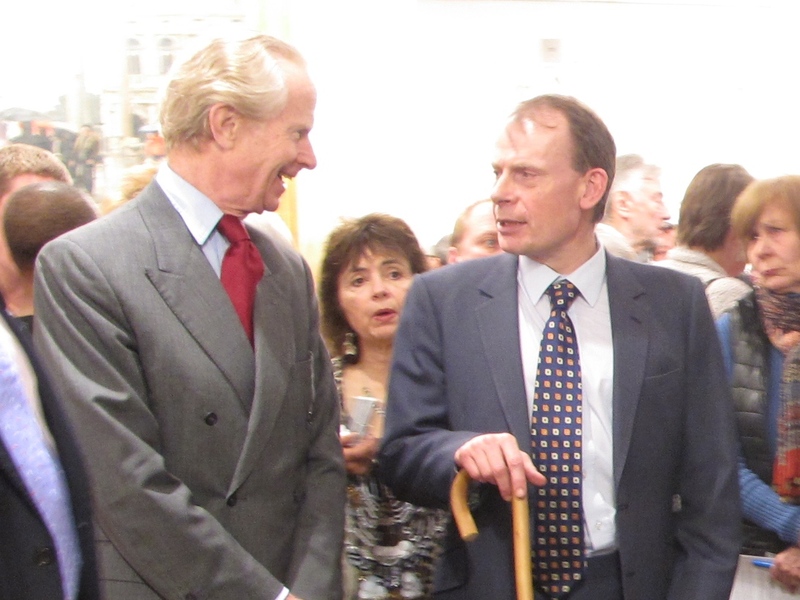 Andrew Marr gave an enthusiastic introduction to the presentation with heartfelt acknowledgement of those artists up and down the country who put so much into their art and in particular drawing. Andrew expressed how drawing is often the best part of his day and indeed is forming an important part of his recovery as he meets life full on through his drawings. If you are in London between the 5-15th March, I strongly recommend you pop into the Mall Galleries, they are just round the corner from Trafalgar Square. There is a wide range of art on display including my own favourites: drawing, pen and ink, etchings, prints, woodcuts and engravings. These really are fantastic examples from the best of our contemporary artists. 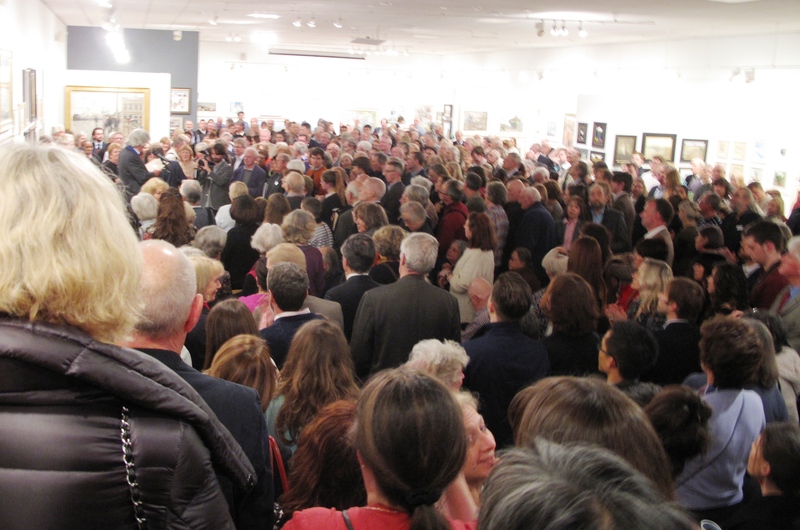 The RBA also give a lot of support to younger artists in partnership with NADFAS and the Dover Federation for the Arts. There is a great display of some remarkable pieces by A Level students. Go and see! A great turn out for a fantastic preview!